Our quilting group had their spring retreat last month. There must be hundreds of years of quilting and sewing experience among all of us. We have seen and done it all by now. Or so I thought! I mean, how many ways are there to connect pieces of fabric? More than I could imagine, it seems. 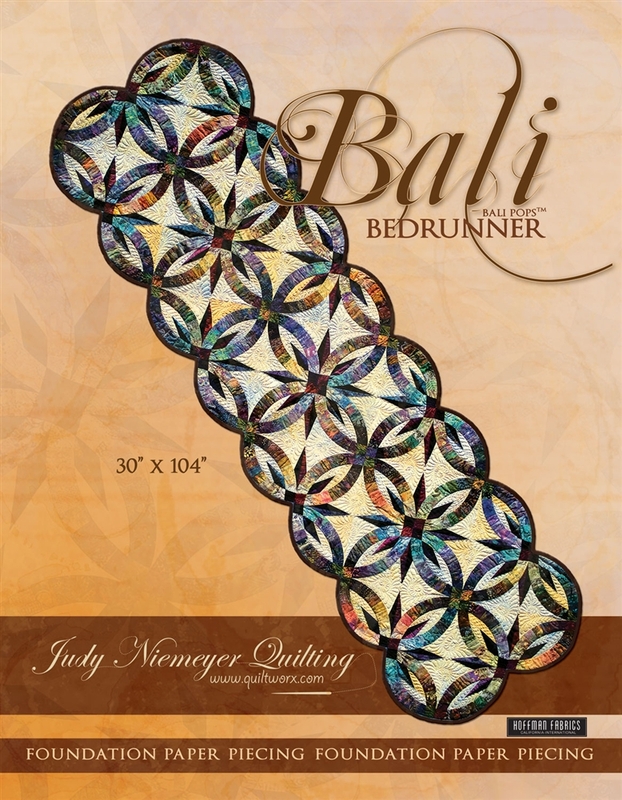 We were given the opportunity to take a class in making a Judy Niemyer pattern called “Bali Wedding Star”. Judy makes the most amazing paper pieced quilts with very accurate precise points and uses a lot of Bali fabrics. I know how to use paper piecing. I know how to make stars. I know about Bali fabrics. I just don’t do any of those things a lot and I’ve never made a wedding ring pattern, so I thought this would be a good chance to do so. What I didn’t realize is, I would learn techniques I had never seen before that would make the entire quilt so much easier to construct. I guess sometimes we all forget that new thoughts, new methods, new philosophies are still possible. We don’t have to keep doing things the same old way. Progress – what a concept!!!! Learning a new thing, even as simple as a method of quilt construction, can be quite invigorating. 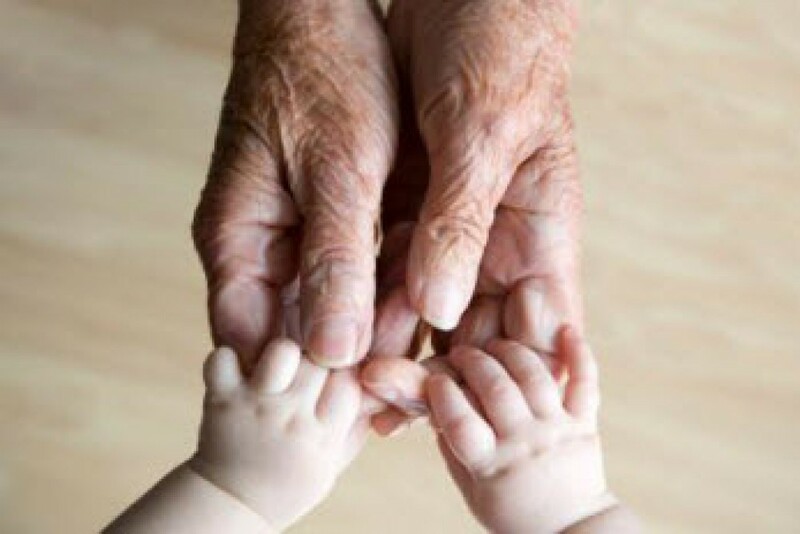 It keeps a person young, flexible and open to more learning. The mind is a muscle like any other muscle – it atrophies without use. So let me share with you the three wonderful little secrets that made my quilt a breeze to put together. 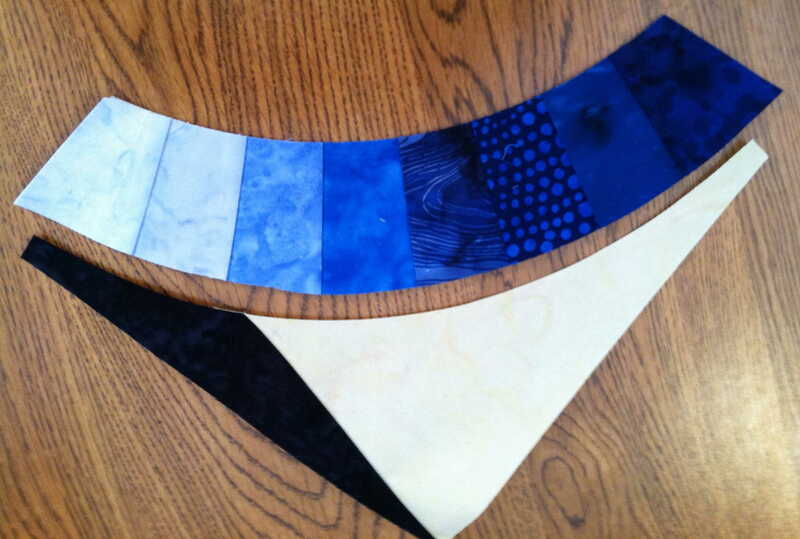 THE ARC TEMPLATE — No more cutting little pieces of fabric into wedge shapes to fit into the arc pattern! 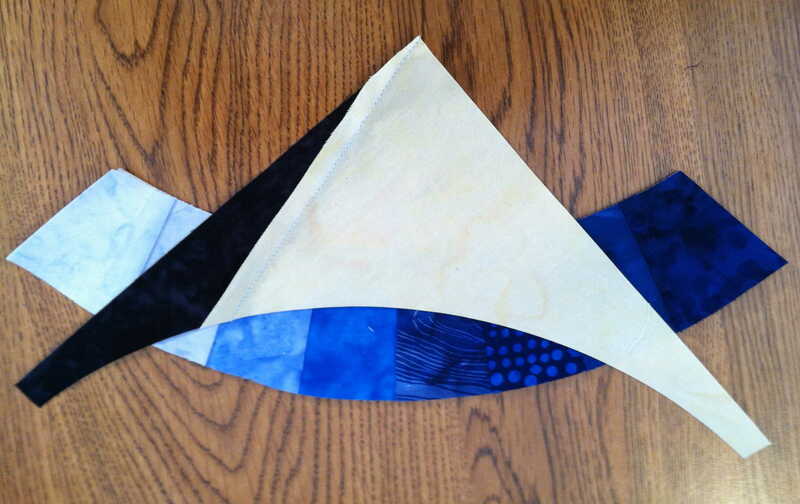 Judy has provided this paper template so all fabric pieces can simply be sewn on and the arc will be formed. Simple but truly ingenious! 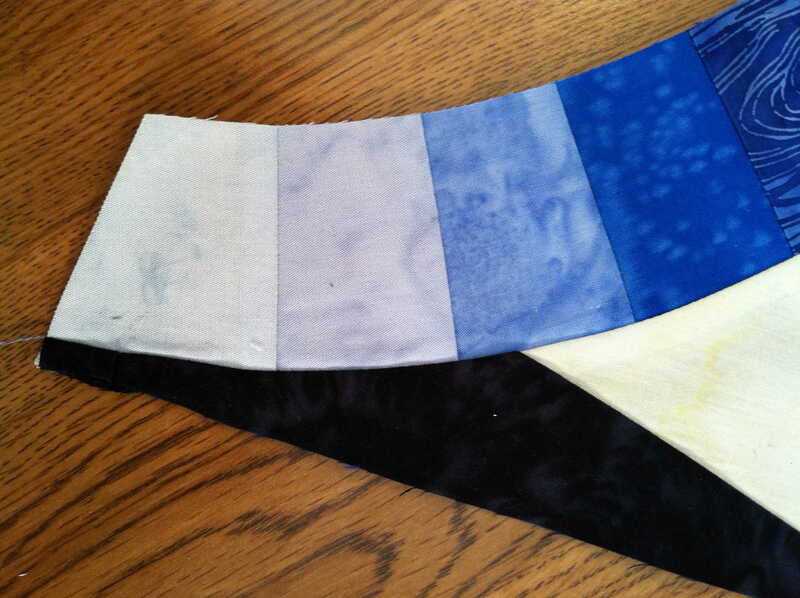 SEWING ARC PIECES FROM ONE STRIP OF FABRIC — This is so simple and yet so amazing! 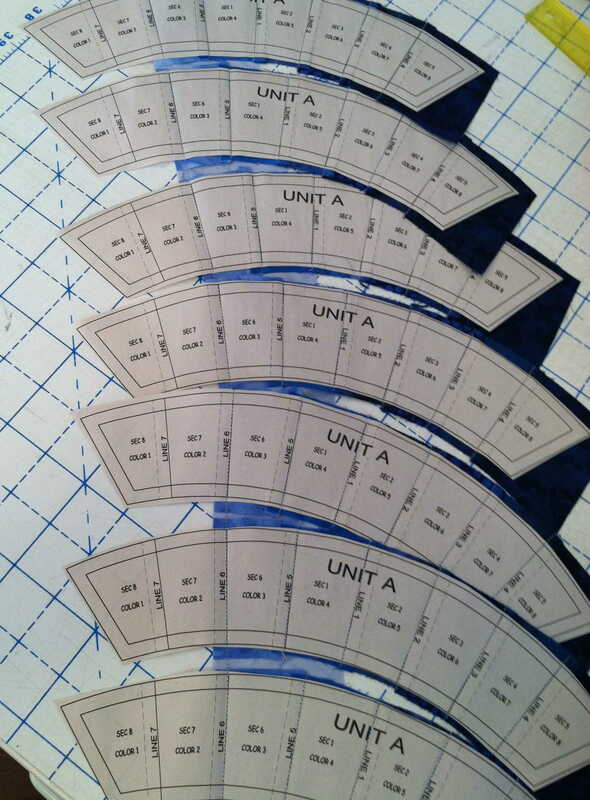 The arc templates are lined up on one strip of fabric and sewn first. Then cut apart. 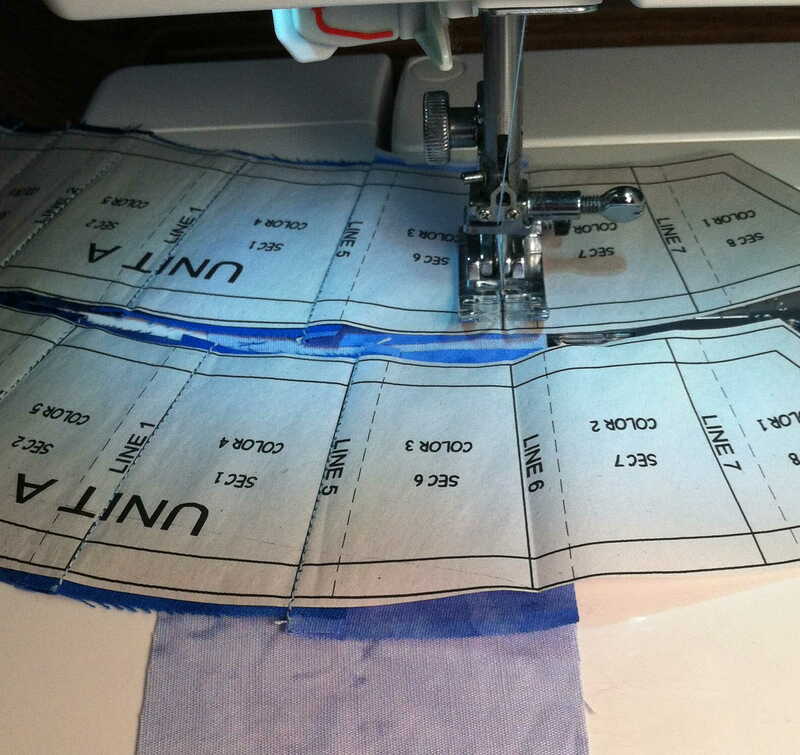 Just one long straight line of sewing with the accuracy of paper piecing. Saves a ton of time. 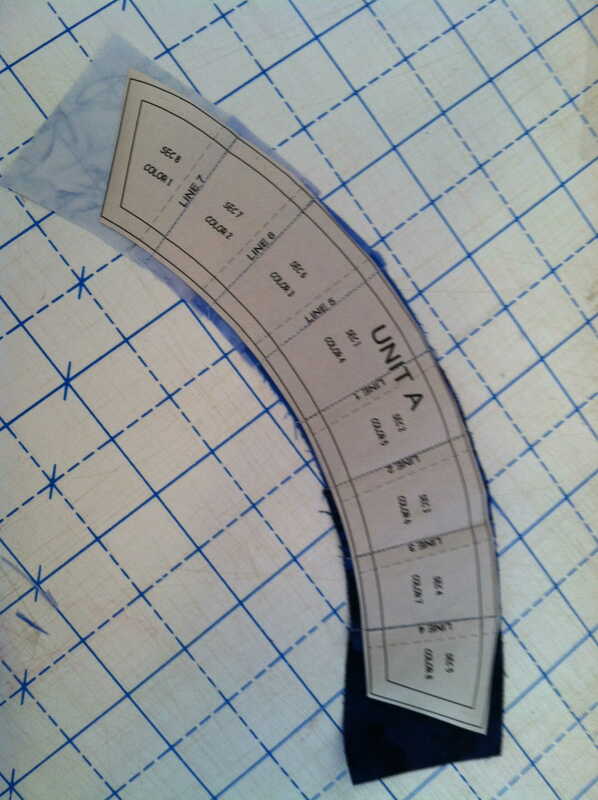 Here is the first template placed on the strip of fabric for sewing. 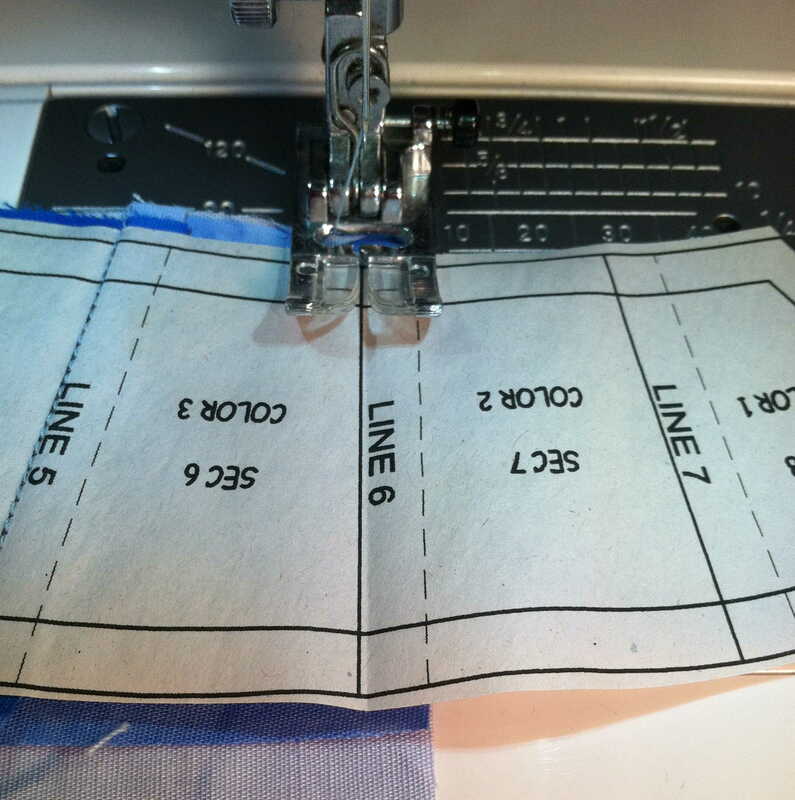 The second template is sewn on the fabric strip in line with the first. 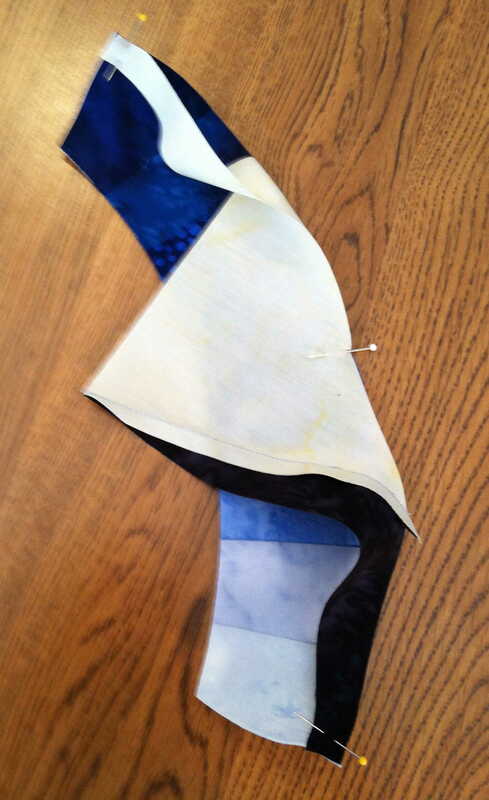 One strip of fabric with a string of templates sewn on. Then just cut the templates apart and press the fabric. Amazing huh?! With so many colors involved in this pattern, this method was a true life saver. 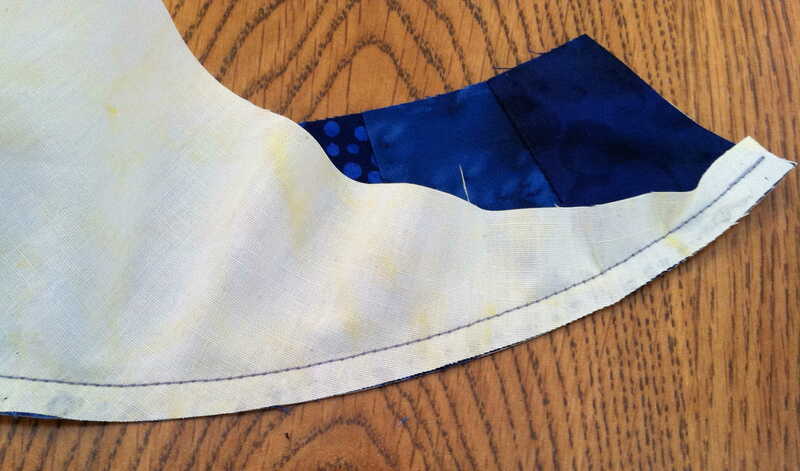 GLUE INNER TO OUTER CURVE OF FABRIC — Everyone knows how hard it is to sew an inner curve to an outer curve. Why didn’t we think of this sooner? GLUE the pieces together first and then sew them. Easy, peasy. No more stretching, pleating or gapping. These are the two curved edges that need to be sewn together. With the right sides of the fabrics together, you can see what a nightmare it is to sew these curves together. First, pin the two edges together at the middles and ends. 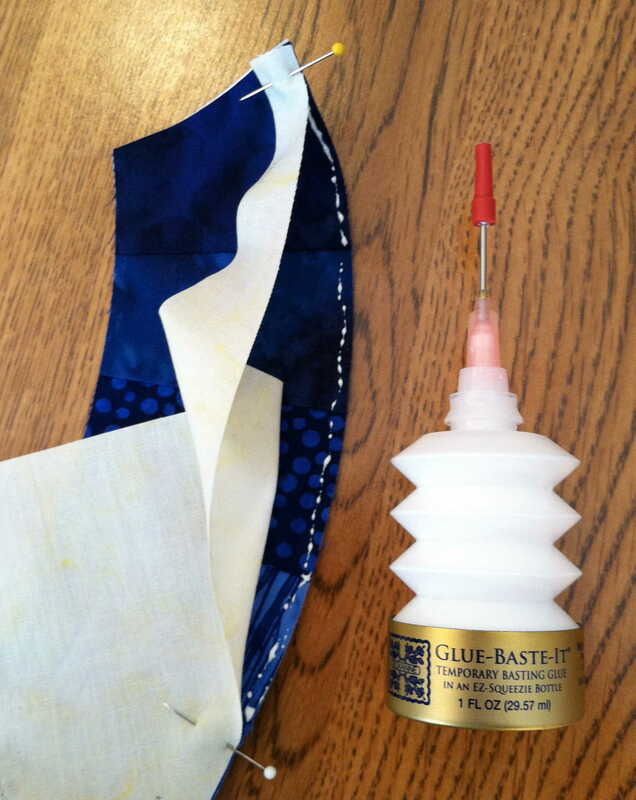 Using Roxanne’s Glue-Baste-It, lay a very thin line of glue along edge (within the seam) of arc fabrics. Press the two edges together. The glue will hold, will not gum you needle and will wash out. 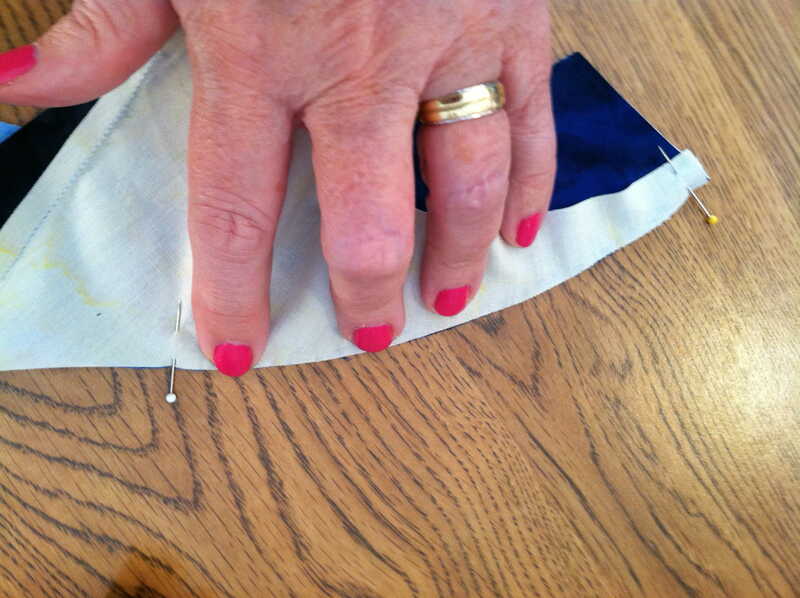 Sew the seam and voila! No gaps, pleats or puckers! Ever time I do it, I am amazed! 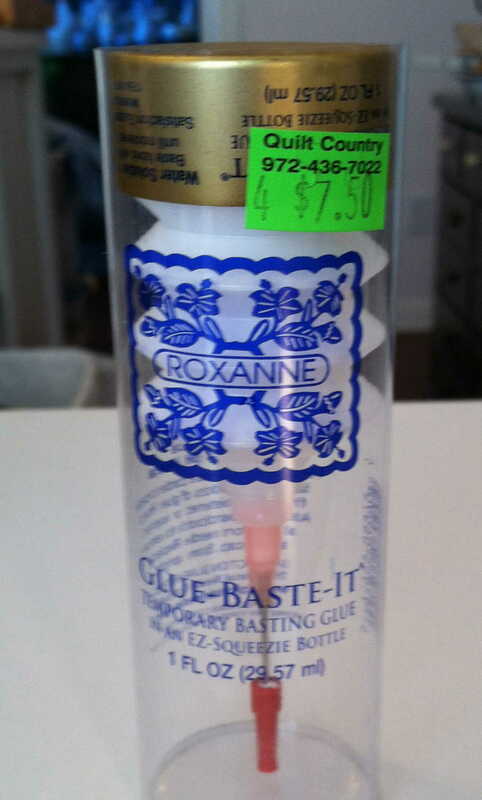 When using your glue, store it upside down in the container. That way it will not clog up. All the hardest parts of the Wedding Ring have suddenly become so manageable. Now who wouldn’t want to make this quilt? Judy’s extra twist is the added star in the middle of the ring. It looks like you have made all these impossible points, seams and curves so precise and you have! But with so much less screaming, ripping and resewing!! How grand is that? Enjoy, my Sweeties! Gotta go! I have a quilt to finish! This entry was posted in In the Sewing Room and tagged fabric pieces, learning anew, quilting, sewing, tips and tricks by The Village Granny. Bookmark the permalink.